I’m Brett Felton of Felton Dental Care. My office is located at 1750 Brooks St, in Missoula. One of the best things about being a dentist is interacting with my patients. During initial dental consultations, I listen carefully to my patient’s short- and long-term dental goals. I enjoy discussing options and developing effective treatment plans tailored specifically to each person. Some of my patients desire a total smile makeover. I explain in detail the treatments available, including teeth whitening, dental veneers, orthodontia, crown restoration, and dental implants. If a patient is nervous about undergoing treatment, we discuss oral conscious sedation. Oral conscious sedation, sometimes called oral sedation dentistry, is a great option for anxious patients. Dental visits don’t have to be painful! After the treatment has been completed, it is very gratifying for me to see my patients’ reactions to their new smiles. 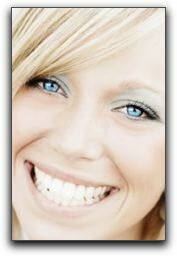 I never get tired of creating dramatic smile transformations for the best patients in Montana! If you have been considering a smile makeover, let’s talk about your smile. Call Felton Dental Care at (406) 728-0896 to schedule a cosmetic dentistry consultation. Does Your Lolo Dentist Conjure Up Cavities?